Union fans from all segments of the club’s fan base. The objective of the group is to provide fan feedback and input to the club on a variety of topics to help create the best possible fan experience in 2016 and beyond. Topics of discussion for the board include items such as in-stadium and gameday experiences, ticket programs, community initiatives, concessions, merchandising, and much more. At Blank Rome, Mr. Cooper chairs the Firm’s labor and employment practice group and is a founder of the Firm’s trade secret and non-compete litigation group. 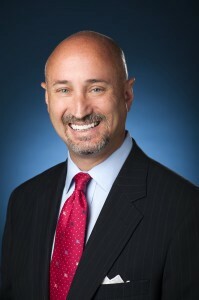 His practice involves litigation and counseling businesses and government entities, where he draws upon a unique blend of courtroom experience, work for members of the judiciary, and political and civic involvement in advising clients. In addition to his legal practice, Mr. Cooper has a long history of leadership with local and national bar associations. Notably, in 2010, he served as the president/chancellor of the 13,500-member Philadelphia Bar Association. He was also a member of the American Bar Association’s National Conference of Bar Presidents (“NCBP”) Executive Council, and twice chaired the NCBP Communications Committee. He is active in political and local matters, serving in various leadership roles with political organizations, boards, and committees. In addition to these activities, Mr. Cooper is as a licensed volunteer youth soccer coach and is the immediate past-vice president of the Moorestown Soccer Club. He plays competitive soccer in the south jersey adult league and coordinates his township adult soccer program.